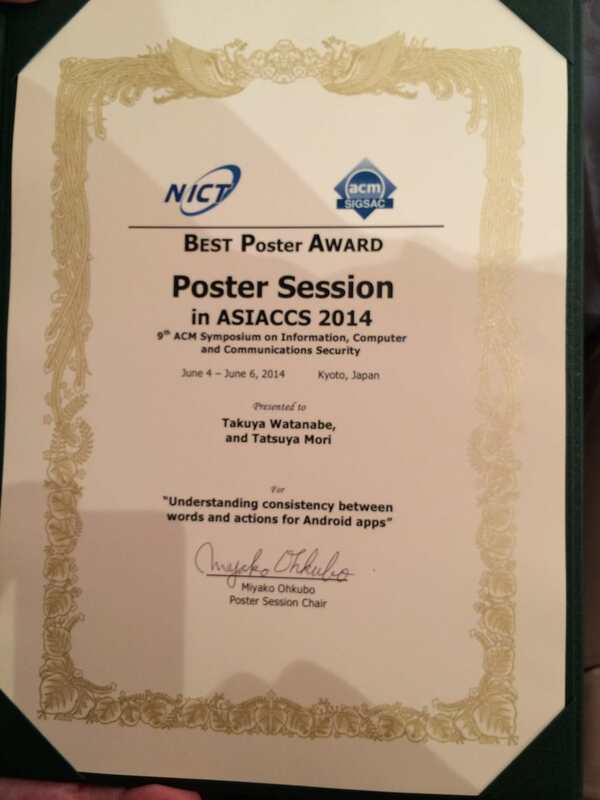 We won the best poster award at ASIACCS 2014! We won the best poster award at ASIACCS 2014. Congrats Watanabe-kun! This entry was posted in award, Research by mori. Bookmark the permalink.